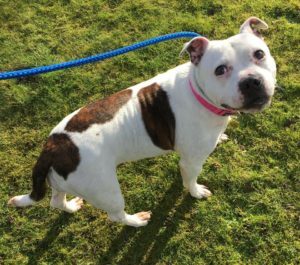 Bella is an adorable short legged smaller sized ‘proper’ Staffy who is approx 6 yrs old white in colour with lovely brindle markings. Bella is a real sweetie and is good with children of all ages. We suspect that she sadly has had quite an upsetting past at times, as she is terrified of being shut away in small spaces on her own (crates, or being shut in a room on her own), she needs a home where she will not be left for more than 1 or 2 hrs. When Bella arrived with us, she was very upset in kennels, and chased her tail so much so that she hurt the end of her tail, and she has had to have her tail amputated, this is healing really well and means she’ll no longer be at risk of hurting it again, it just looks a little bit quirky!! She enjoys her walks and walks well both on and off lead and loves to play with her toys – squeaky ones are her fave! She is housetrained and also travels well in the car. 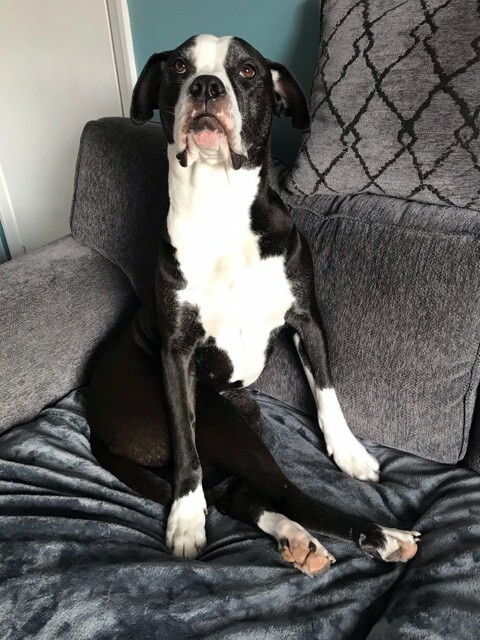 Bella has lived with other dogs in the past, and is OK with dogs out and about, but we would like to rehome her as the only dog so that she gets the 1-1 attention she needs and deserves. Bella really is a dog who deserves to find her happy ever after, a true Staffy loving home must be out there just waiting to find Bella! 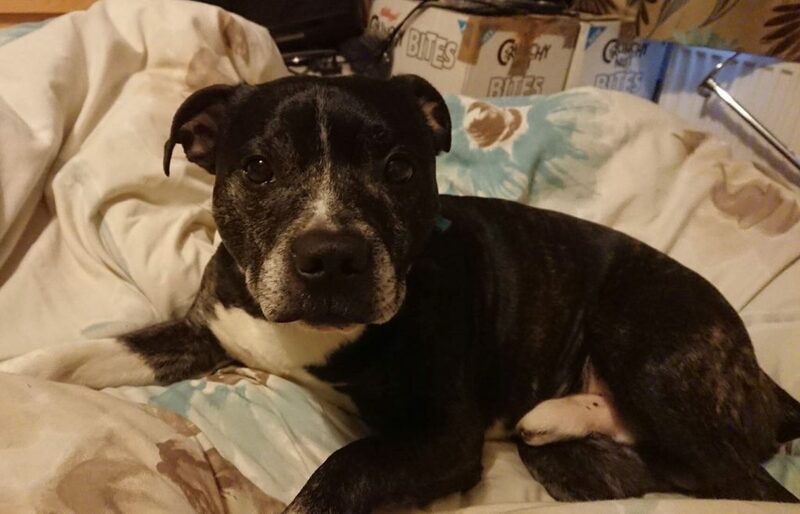 We are very keen to get Bella settled into a stable home ASAP after all she has been through.